Though tickets for the upcoming Star Wars movie are now on sale to the public, not everyone is able to snag their seats for the cinematic event. Fans are posting on social media that sites like Fandango are having trouble processing their orders, with some servers buckling in the face of immense demand for tickets to Star Wars: The Last Jedi. Tickets went on sale a bit earlier than expected, with some under the impression that they would only be available after the premiere of the brand new trailer during ESPN’s presentation of Monday Night Football. 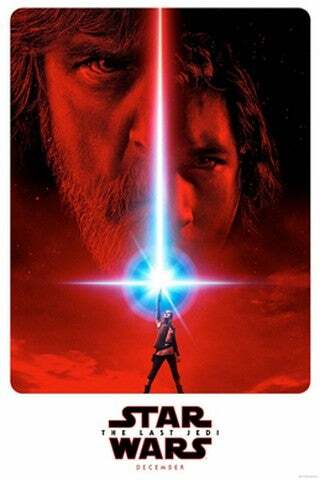 The day has proven to be quite the event for Star Wars fans, with the debut of a new poster for The Last Jedi on social media, followed by the tickets going on sale, and then the long-awaited trailer dropping. Star Wars fans are a rabid bunch, and similar issues were prevalent during the ticket pre-sale for Star Wars: The Force Awakens. Though some fans might have gotten there’s without a problem, others have taken to social media to vent their frustrations with yet another troublesome ticket buying experience. Here’s a round up of some tweets from people who have had difficulty securing their tickets for Star Wars: The Last Jedi. Of course not! Nothing is working! The app and website continually time out and Fandango doesn't even have all AMC showtimes yet. Even though fans are having these issues, it still is a clear indicator that Star Wars season is upon us. Take solace, because soon we will all find out what the whole deal with Luke Skywalker is.